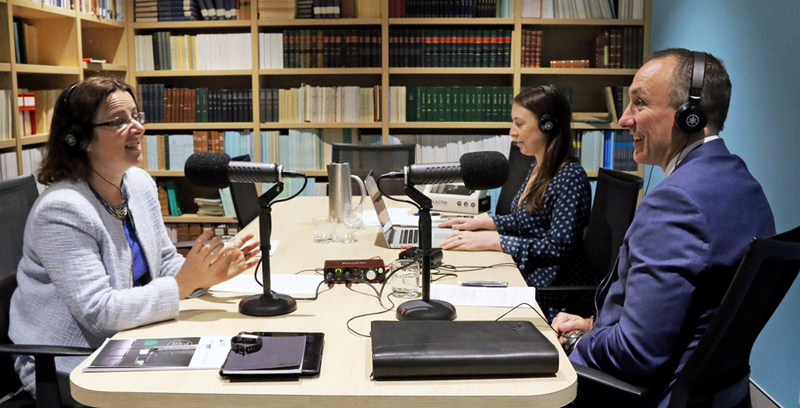 The Actuaries Institute has released its inaugural podcast series ‘Peace of Mind’, centred on its latest ‘Mental Health and Insurance’ Green Paper. The show, hosted by the Institute’s Acting CEO Elayne Grace explores mental health conditions in the community, and discusses difficulties in diagnosis, underwriting, and claims management with the CEO of TAL, a Principal at Finity, and Co-Chair of the National Mental Health Commission. So begins the conversation in our makeshift studio (the library) at Institute HQ, for our inaugural podcast. 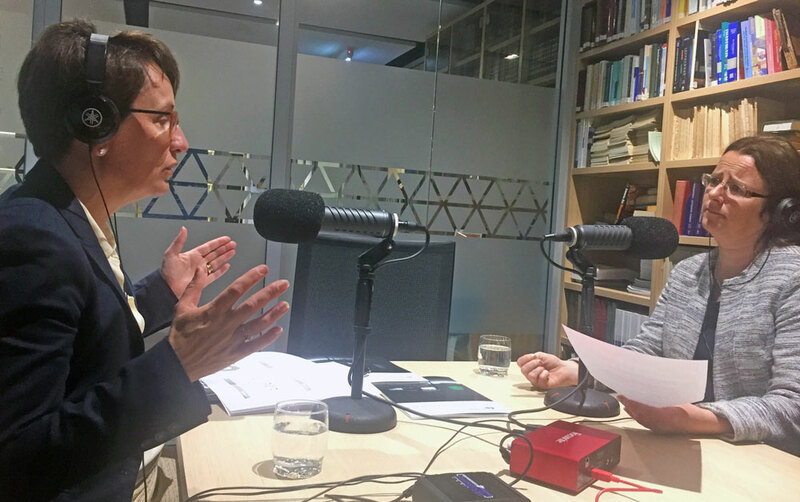 Following the successful launch of the Green Paper, Brett Clark, CEO of Australia’s largest life insurer TAL, joined me for Episode Three to reflect on this important topic. TAL paid more than $210 million for mental health claims (second only to the number of claims paid out for cancer) in the year to 31 March 2017. “Permanent disability benefits which are typically associated with lump sum payments were designed and built at a time when mental health wasn’t even really on the radar (the 1980’s or earlier). They were built for mostly physical illnesses or injuries which can manifest which say: ‘OK that person is permanently disabled and they need a lump sum of money to help them maintain their lifestyle’. So, these products…require a bit of a rethink,” says Brett. The potential danger of rewarding lump sums to consumers suffering mental illness is a point covered in the Green Paper. Brett commended the Institute and the profession for getting involved in thinking “more deeply” about mental health. Helping people “get well, stay well” is a large part of TAL’s business, says Brett, given 60% of the claims it pays are for people who are living with illness or injury, rather than death claims in a classic insurance sense. TAL is working with Superfriend, the Financial Services Council (FSC) and the University of Sydney on mental health awareness projects. In July last year it hired Glenn Baird as its first head of mental health in attempt to better inform TAL’s underwriting processes and product development, and help its claims managers ‘rethink’ their dealings with customers suffering mental illness. The National Mental Health Commission (NMHC) encourages the sector to be open to dialogue around this topic, as its Co-Chair Lucy Brogden discussed in Episode Two. “I’ve been involved the mental health insurance conversation for at least 12 years, and for me this [Green Paper] is a significant sign of progress and collaboration with the mental health sector and insurance. The Paper has some great recommendations and areas of focus, and I hope to see real change off the back of it,” says Lucy. 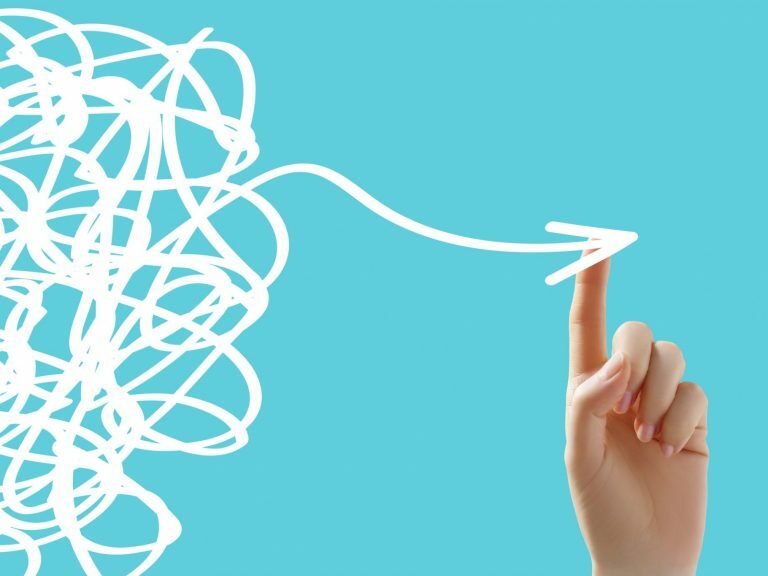 If you would like to hear a particular angle of this wide-ranging debate covered on the ‘Peace of Mind’ write to us at ActuariesMag@actuaries.asn.au! 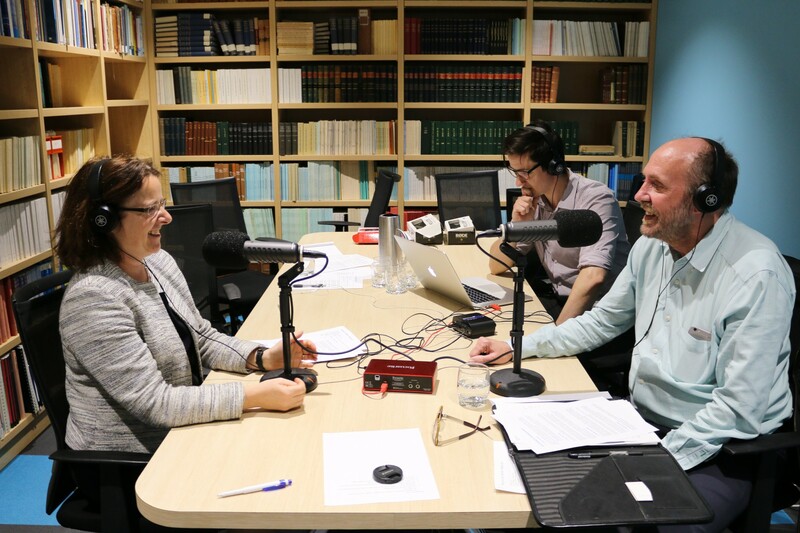 We look forward to sharing more episodes with you soon on our Actuaries Podcast Channel, including on Career and our thought leadership series ‘The Dialogue – leading the conversation’. In our conversation, Lucy outlined the scale of mental illness in Australia. At the very far end of the spectrum, there are those who experience severe psycho-social disability and are “well supported through programs like the NDIS and we’re looking to see how that plays out”, says Lucy. Actuaries love data, and this is precisely what industry and government bodies such as the NMHC need – reliable data offering relevant information that can better inform the insurability of mental illness. Episode Four of ‘Peace of Mind’ went live last week, again featuring actuary and co-author of the Green Paper, Geoff Atkins. Continuing on from our discussion in Episode 1 Geoff shared his learnings and perspective on the issue. “There is a real shortage of useful data for insurance applications and there’s a lot of work being done on that,” says Geoff. 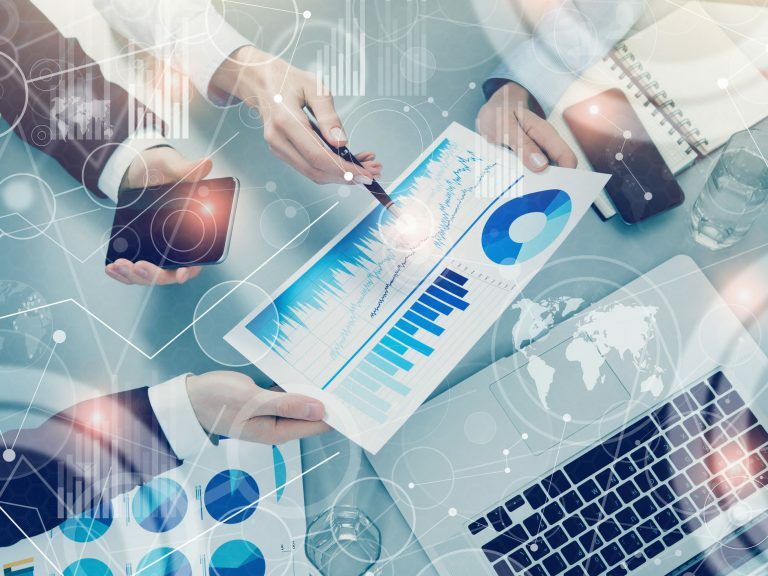 The NMHC is keen to collaborate with the insurance sector on the data that it has, and find ways to help analyse it and connect it with its data linkage projects, including one with the Australian Bureau of Statistics. “We need to access the good data that’s out there, but it’s often very siloed data,” says Lucy. As goes with the territory, the nuances in this problem are important: there isn’t one fix for everything. I consistently found myself and the guests on this podcast coming back to the importance of collaboration here. “The community including the insurance industry is very, very aware of the difficulties that have been present and are trying to do things but mostly on a pretty individualized and isolated basis. For example, the FSC has issued a standard requiring their member companies to give awareness training to their staff relating to mental health,” explains Geoff. “The Green Paper tries to scope all the relevant insurance sectors, and draw together some common threads and differences, so that developments can learn from each other, and inform each other, but still be specific to the circumstances of that individual product group and customer group”. Elayne Grace is CEO of the Actuaries Institute. She was previously Deputy CEO and Head of Public Policy from 2013 – 2017, responsible for the development and implementation of the Institute’s public policy strategy. Elayne has 25 years’ international experience with leading consulting firms and major insurers. She is a graduate of the Australian Institute of Company Directors, a Fellow of the Institute of Actuaries of Australia and of the Institute and Faculty of Actuaries (UK) and has a Bachelor of Arts in Accounting and Finance.